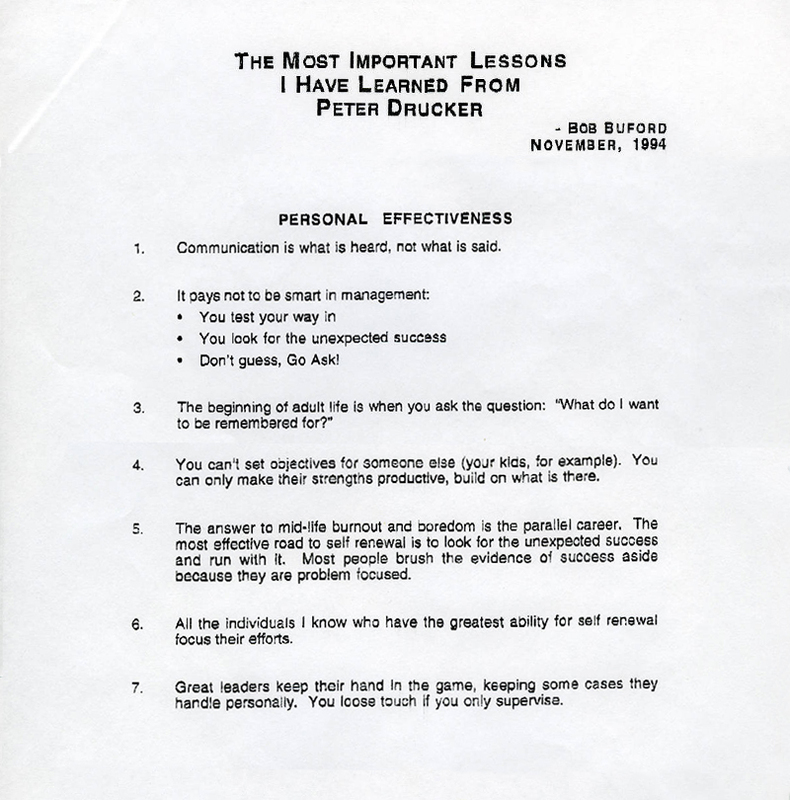 Peter Drucker knew well the type: the “competent engineer who is passed over for promotion at age 45,” or the scholar who realizes at 42 that she’ll “never get a professorship at a big university.” With a long life still ahead for these people, Drucker advised one of several remedies: pursing a second, “parallel career” alongside their first one, usually at a nonprofit; becoming a social entrepreneur; or launching themselves into a second career—in a whole new field—as a way to be reinvigorated. Even a truly successful executive would “have to learn that there is no disgrace in starting over again at age 45,” Drucker wrote. To that end, here are half a dozen inspiring stories of executives from all sectors—business, government and nonprofit—who found a way to make a fresh go of it. To draw the curtain back on the article you’re about to read, the character that haunts its beginnings is a fictional one. 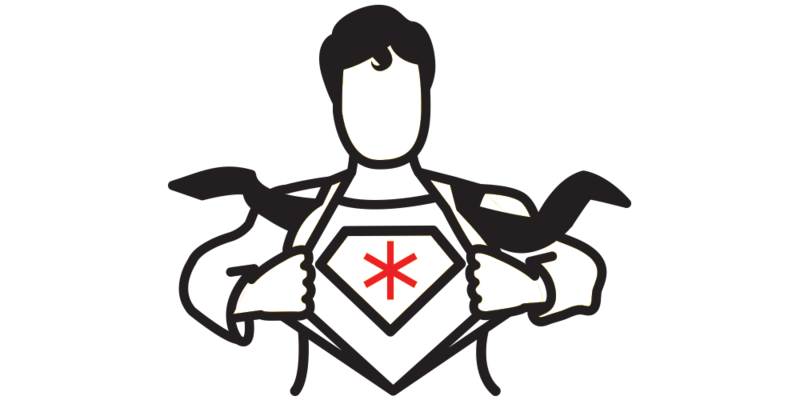 It is someone who has suffered a setback in his or her career, the “competent engineer who is passed over for promotion at age 45,” or the scholar who realizes at 42 that she’ll “never get a professorship at a big university,” or anyone else who can boast of an “absence of failure” but never claim any huge success. This person was the hypothetical creation of Peter Drucker as he wrote about the reasons that people need to find new paths to take as they get older. 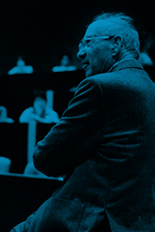 Others, Drucker suggested, might become social entrepreneurs, starting up a new venture to tackle a societal challenge. Or they might launch themselves into a second career—in a whole new field—as a way to be reinvigorated. It is this third path, the re-launch later in life, that characterizes the following stories. These six executives have worked across all sectors—business, nonprofit and government—and transitioned from one to another with great success. Each has a lesson to teach the rest of us. For Anne Sanquini, the realization the she needed to do something else came at age 50. The year was 2002, and she was a vice president of Mentor Graphics, where she managed a $200 million software division. Sanquini had rich executive experience—she had also been a vice president at Sun Microsystems and National Semiconductor—and she was being recruited by companies to be a president. But to her surprise, she says, “I didn’t want to do it.” Work had come to involve too much high-level management and too little fun. Sanquini had plenty in savings, so she quit. The Drucker Institute’s Phalana Tiller visits with Marc Freedman, founder and CEO of Encore.org, to talk about ways that people in midlife can use their skills and experience to benefit society. The question was what to do next, especially given the possibility that Sanquini would be like her parents and work into her 90s. “Even if I take 10 years to get an education,” Sanquini recalls thinking, “I could still enjoy a 30-year career from age 60 to age 90.” So she began to take classes at West Valley College in Saratoga, California, to see what might interest her. At the same time, she laid out five things she’d require for her career going forward: challenging work, good colleagues, time in the outdoors, no rush-hour commute and something that was doable into her old age. She decided to get a master’s degree in the field, enrolling at San Jose State University, from which she graduated in 2010. She excelled in class, impressing her professors enough that she decided to pursue a PhD. That wound up being at Stanford University, where she immersed herself in the intricacies of tectonic geomorphology. An unlikely turning point came when she took a multidisciplinary class on hazard and risk that brought together students and lecturers from different fields—among them geology, engineering, public policy and social science—for a project about improving disaster preparedness in the developing world. The presentation on which Sanquini had worked so impressed her advisor that he recommended she shift her focus toward this multidisciplinary area and build on the work she’d done in that class. In the years that followed, Sanquini took multiple trips to Nepal, where she combined the insights of structural engineers and seismologists with the social science of how to change behavior. Her research, which involved designing randomized trials that involved 16 schools in the Katmandu Valley, found, among other things, that showing a persuasion-heavy film about safety precautions had a statistically significant effect on predictors of behavior. During her final trip, in April 2015, a 7.8 magnitude earthquake struck Nepal, killing almost 9,000 people. The experience was harrowing, affecting people she knew well, and it underscored the importance of her work. Later that year, Sanquini defended her dissertation, wrote technical articles and completed her PhD. When opportunity next knocked, she didn’t hesitate. It took the form of a job offer from a Menlo Park-based nonprofit called GeoHazards International, which brings together civil and structural engineers, geologists, seismologists, social scientists and other specialists to collaborate in ending preventable death from natural disasters. Sanquini now works there on strategic development, putting her education and life experience to use. Not only does it fulfill all of her five criteria for this stage of her life, she says, but it also adds an unexpected sixth one: major social impact. Sanquini’s counsel to those casting around for something new: Go for it, because you can change what doesn’t work for you. At community college, she says, her classmates were gamely trying new things, even as many were overcoming extraordinary life challenges that made her own worries seem small. In 2008, at age 56, Doug Rauch retired as president of Trader Joe’s. He just wasn’t enjoying his work as much as he once did. So he decided to open the door and try something new—and immediately went down several dead-end paths. Rauch wanted to stay busy, but consulting work didn’t add much meaning to life, and local board memberships in Boston, where he lived, weren’t sufficient on their own. “I started getting itchy for more operational stuff,” he says. At that point, a friend offered some valuable advice: Don’t be in a rush. Let it come to you. Executives can find it hard to be a “former something,” notes Rauch, but it’s important to find what really fits. In 2009, Rauch got word of a program at Harvard called the Advanced Leadership Initiative, which offered fellowships to experienced leaders hoping to transfer their skills to the social sector. The following year, he became a fellow and began to investigate what he could do to address hunger in the United States. Doug Rauch, the former president of Trader Joe’s, started a nonprofit called Daily Table, which sells high-quality ready-to-eat food at a low price in poor neighborhoods by making something tasty and nutritious out of items fast approaching their sell-by date. Rauch had often heard the statistic that more than 40 million Americans suffer some form of food insecurity or hunger. This struck him as unacceptable in a wealthy nation with lots of wasted food. It was also mystifying. How could this be consistent with epidemic obesity among the poor? What Rauch came to realize was that poor Americans were getting too many calories while, at the same time, they were getting too few nutrients. Fattening food processed on a mass scale is plentiful and cheap, but fruit and vegetables are not. Since the working poor have multiple jobs and little time to spend in the kitchen, ready-made food—cheap, processed, easy—dominates their diets. “They’re beat up and worn out by the time they get home,” Rauch says. The question for Rauch was: How could these people be provided with healthier dining options that were affordable while, just as important, not undermining their dignity? Over the next several years, Rauch gathered together nutrition experts, retailers, community members and nonprofit leaders to help realize an idea: a non-profit chain of stores in low-income neighborhoods that would sell groceries and nutritious ready-to-eat food for a price as low as that of fast-food restaurants or bodegas. The key was to recover excess food that would otherwise be wasted or to purchase surplus wholesale goods that were fast approaching their sell-by date (but never past it, as Rauch says, “for the dignity reason”) and employ a staff of cooks to whip up something nutritious and tasty out of whatever happened to come in the door that day. “Every day is a top-chef challenge,” says Rauch. Rauch’s nonprofit, Daily Table, opened its first store in June 2015 in Dorchester, a working-class section of Boston. Locals loved the inexpensive offerings, and, to Rauch’s delight, upscale customers shopped there, too, underscoring the dignity of the enterprise. A second store is in the offing, and Rauch sees a nearly unlimited potential for scaling up the work of Daily Table, since the bulk of revenues are from consumers. Philanthropic donations are used for cooking classes and staff salaries but make up a less critical share of operating revenues than at other nonprofits. Rauch currently splits his time between Daily Table and a nonprofit called Conscious Capitalism, of which he is CEO. Its mission is to harness the “potential of business to make a positive impact on the world.” Like others with late-life careers, he speaks of a calling. Today, says Peter McConnell, who recently launched a company called Commtract, which specializes in connecting corporations to communications talent, people are apt to rise to top positions at a young age, leaving them hungry for the next challenge—and so they move on in pursuit of it. McConnell’s own career is a case in point. After earning an economics degree at the University of Queenland, he wound up landing a job on the staff of the leader of a conservative party in New South Wales, the most populous of Australia’s six states, quickly advancing to the post of chief of staff. Not long after turning 30, when McConnell’s party was voted into office after 16 years in the opposition, McConnell became chief of staff to the premier of the New South Wales government. The work was prestigious but grueling, and McConnell learned that if you lose that “fire in the belly,” then it’s time to get out of politics. McConnell not only got the job, which paid several multiples of what he’d been making in government; he also got the backing of Woolworth’s to revamp a number of its approaches to communications. After a few years, McConnell got restless once more. He was in a top role at one of Australia’s biggest companies, but he had achieved much of what he’d set out to do. Now the prospect of launching his own business was calling to him. So McConnell gave Woolworth’s six months notice and last summer started Commtract. So far, the business is taking shape nicely, he says, but if it doesn’t work—well, he’ll just try something different. By the time you make it to the corner office, it’s not there anymore. During the 27 years he was at Fidelity Investments, Dennis Duquette was never one to get stuck in a rut. He moved seamlessly between departments, taking on roles in marketing, advertising and corporate social responsibility. He also went back to school while he was at Fidelity, earnings a master’s degree from Boston College in administrative studies and a master’s in public policy and administration from Northwestern University. Then, at age 57, Duquette had had enough. It was time to retire. Before exiting Fidelity, Duquette sold his house in Boston and moved back to his hometown of Springfield, Massachusetts, where he could be close to his elderly parents. After a few months of enjoying the first long break he’d had in 35 years, he started to think about what he might do next. Teaching? Consulting? Something in the public sector? 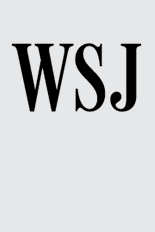 Then Duquette happened to read about a former colleague who’d been hired for a senior job at MassMutual Financial Group, a Springfield-based company for which Duquette had worked immediately after graduating from college in the early 1980s. Duquette received an immediate reply saying that MassMutual was hiring for exactly the kind of role he was looking for: vice president of community responsibility, a job that also meant running the MassMutual Foundation. Duquette started there last December. Sometimes even a bridge that leads you straight into a second career. Ross Hunter didn’t know what he wanted to do in 2000 after 17 years at Microsoft. He just knew that he was done. As one of the company’s first four program managers, Hunter had acquired plenty of stock and didn’t need to worry much about money anymore. But he quickly became restless—and he had a long life ahead. He was only 38 years old. There was stuff in the community that needed to get done—fundraising, political races—and Hunter ventured into those. After working on a school levy campaign, he found something he deeply cared about. School funding is one of the most complicated issues in government, and Hunter became an expert on it. It struck him as perverse that a minuscule property tax in a rich city like Bellevue, Washington, could raise far money more than a hefty property tax in a poor city like Yakima, even as the students of Yakima tended to require more intense educational intervention than those in Bellevue. Soon, he was becoming an activist to reform school funding in Washington State, which then ranked 47th in per-student spending. So why not run for office, too? In 2002, when a seat in his legislative district opened up, Hunter decided to jump into the race. “This was a district that had never elected a Democrat,” says Hunter. “But if I’d run as a Republican my grandmother would have rolled over in her grave.” He won a seat in the State House of Representatives. Ross Hunter went from being a Microsoft executive to working in the public sector, learning an important lesson along the way: His hard-charging style, which was well suited to high-tech, needed to be toned down if he was going to be successful in government. What Hunter quickly learned is that some of the attributes that made him a star at Microsoft were liabilities in the public sector. His new posture seems to have worked. To his great satisfaction, Hunter helped to persuade his colleagues to find the funds to nudge Washington’s per-pupil spending all the way up to 28th place. Today, Hunter has another job, directing the state’s Department of Early Learning. As in the legislature, listening to others with genuine respect is crucial. “Managing this huge cloud of opinion makers who surround what we do is really important,” he says. When Don Covington was growing up in Baltimore, his father was a Shriner who worked each year as an usher at the local Shriner circus for a week, and Don would tag along. Then he became an adult, a student a Duke University and, for 30 years, a naval officer, starting as a fighter pilot and later taking on a number of administrative roles, including that of naval attaché in Paris. When retirement loomed in the mid-1990s, Covington, now a 50-year-old captain, was aware of the traditional post-Navy roles taken by his peers in commercial aviation or the defense industry. But Covington had a different wish: He wanted to recapture the joy that he’d experienced as a kid. So why not work for the circus? For years, thanks to a habit of visiting circuses when he was abroad, Covington had been contributing reviews to an industry magazine, and so he was aware of the names in the field. But the circus world is small and insular, and Covington knew that the wall would be hard to breach. He decided to write letters of inquiry to five circus companies that seemed to be healthy, ethical and well-run, stressing to each his experience with management and logistics and his ability to meet a tight deadline. Also in his favor was a willingness—an eagerness, actually—to go on the road. Two circuses wrote back. One was Ringling Brothers; the other, the nonprofit Big Apple Circus. Covington had a conversation with Paul Binder, the founder and artistic director at Big Apple, who told him that no openings were available but that they’d keep his résumé on file. Six weeks later, Covington received a call: Binder said that he needed a purchasing manager. The job involved going on the road with the circus and making sure everything the show needed—supplies, rental equipment, etc.—was purchased and waiting in each location. The following year, Covington’s wife and 10-year-old daughter joined him, and the three of them moved into an R.V. and traveled full-time with the show. Eventually, Covington worked in a variety of other traveling roles at Big Apple, including that of company manager. As Peter Drucker pointed out, “Most people think they know what they are good at. They are usually wrong.” Evaluate in a purposeful way where you excel and then actively cultivate those strengths. There’s a good chance that you can then apply them to any number of positions—even a whole new career. Another title for this article might be “Everything You Think You Know About Changing a Career Successfully Is Wrong.” The conventional model is that you figure out who you are and what you want to do and then create a plan to go for it. 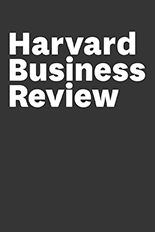 Ibarra, a professor at INSEAD, maintains that this rarely works for people. What must happen is action—often on a small scale at first—with experimentation. The insights come from that. This is a bit like fixing things before you know the problem, but that’s the point: If something isn’t working, trying to fix it may be the only way to figure out why. 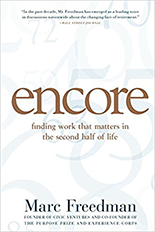 This book concerns “encore pioneers”—those who’ve rejected the idea of spending retirement on the links and instead have thrown themselves into second careers devoted to generating a positive social impact. These people, writes Freedman, are “challenging the definition of success for all Americans” and adding weight to a “gathering movement whose larger purpose is to solve the greatest problems facing humanity today.” Encore preceded Freedman’s also valuable 2011 book, The Big Shift: Navigating the New Stage Beyond Midlife. 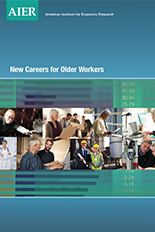 This is a usefully thorough overview of how older workers fare in looking for new careers. The good news: “In our survey of people aged 47 and older who attempted a career change, 82% succeeded.” Another encouraging finding is that ageism among employers seems to be less of a barrier than commonly believed. But people do not hire for potential when you’re older. They hire for skills that they feel confident you already have in hand. So be prepared to demonstrate that you do have them. Looking for encouragement in your career shift? Then don’t read this article by career coach Lynda Spiegel. Recruiters don’t want to place you in something you haven’t done before. Employers don’t want to give you a chance. You’re unlikely, in most cases, to make anything close to what you were making in your previous profession. So if you’re really looking to bail on what you’re doing for something completely different, advises Spiegel, consider launching a business of your own. If you’re thinking you need to change your life and career, you’re not alone. The authors of this book view a mid-life shift in focus as the new normal. How do people make it work, and how can you? 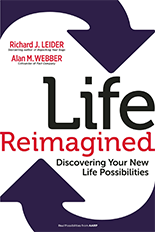 Life Reimagined is intended as a spur to self-reflection and action, with stories, ideas and exercises for figuring out your next chapter.